Rob Zombie's Halloween will be recieving a sequel treatment. Dread Central caught up with Malek Akkad at 30 Years of Terror and he had some scoop regarding the sequel to the 2007 re-envision of the Myers character. First and foremost the film will be a theatrical sequel and not a direct-to-dvd sequel. Tyler Mane who played Michael Myers as an adult in the 2007 Rob Zombie film will return as the lead character in the sequel. The Production staff is currently trying to get more of the cast from Zombie's version. There is no director attached to the project currently and Rob Zombie is not expected to return. Akkad said they hope to begin pre-production in early January and begin shooting by March. 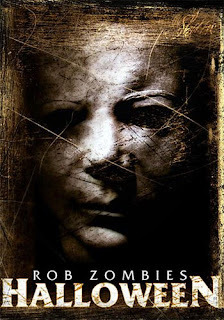 No plot details have been revealed yet other than it will be a sequel to Rob Zombie's 2007 Halloween. Tyler Mane was really good size and pulled off Michael well in the 2007 film, so keeping him is good. Not that you couldn't slap the mask on any big guy and they could pull it off, but Mane deserves to continue as the killer. Hopefully the production staff will be able to get back Scout Taylor-Compton as Laurie Strode also. Alexandre Bustillo & Julien Maury are in early neogiations to co-direct the film, but no final word has been given. Thoughts on a sequel to Rob Zombie's Halloween? Didn't Zombie clearly make a one picture film? Do you want another Halloween? Who should direct it?